Enjoy the flavors and aromas of Kentucky's best-known beverage infused into a custom blend of handpicked Chinese and Indian teas. You'll love the subtle notes of vanilla and caramel with a hint of char from the bourbon barrel. Make mine a double! 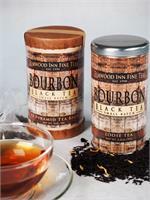 This is not your grandmother’s cup of tea, unless your granny was from Kentucky! 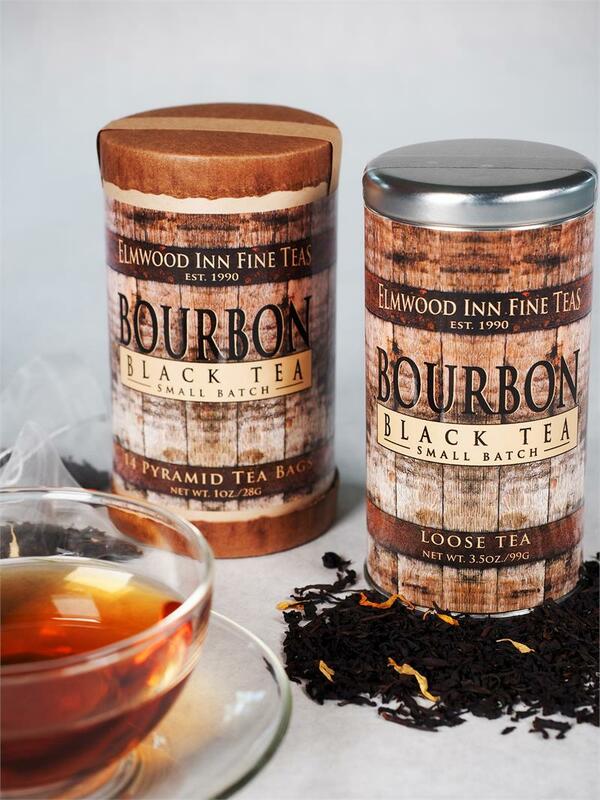 The inspiration for Bourbon Black Tea was conceived in the Bluegrass Region of Kentucky where the commonwealth’s oldest tea company, Elmwood Inn Fine Teas, just happens to be surrounded by the world’s greatest collection of Bourbon distilleries. Even teetotalers will recognize the intoxicating aromas of Kentucky’s signature spirit as soon as the boiling water hits the leaves and releases delicious notes of caramel and vanilla. 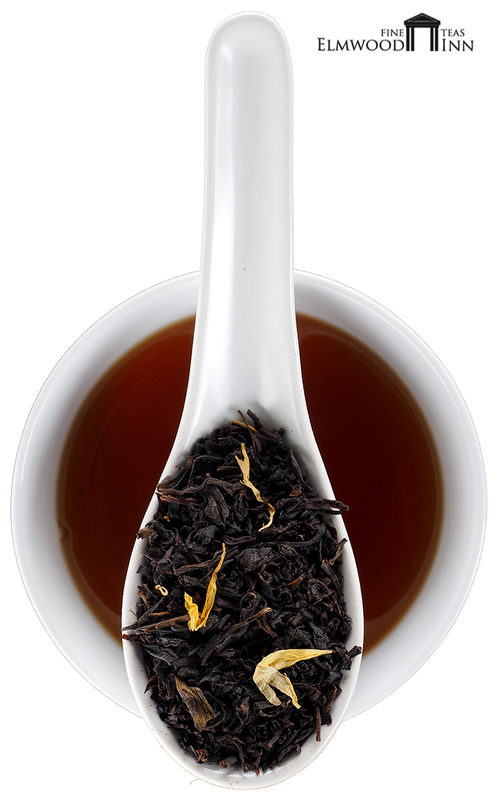 Lingering in the background is a subtle hint of char delivered by a bit of smoky Lapsang Souchong added by Elmwood’s Master Tea Blender Bruce Richardson. Earthy Yunnan black tea, reminiscent of a morning on a Kentucky farm, completes the complex flavor profile of this one-of-a-kind blend. Buy it by the pound and save!. Also available in pyramid sachets. My husband just started drinking tea and after going through a variety pack I found here on Amazon I bought him this tea. He absolutely loves it and has given some to his friends and they love it, too. He's even made iced tea out of it and while I'm not a tea drinker I have to admit I even liked it. Amazing tea at an excellent price. I have bought this tea many times, both for myself and as a gift for others. My advice is to add just a little bit of honey to really bring out all of the flavors. I will continue to buy this tea as long as it is sold. 1 cup usually gets me through my whole afternoon. I brew this tea for iced tea. 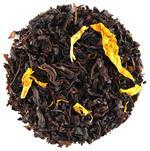 I have mixed this blend with other teas and come up with some interesting blends. I am about to finish off my third pound an will be ordering more. Sun Tea, hot tea, mixed with peach tea. OMG this is really good tea. 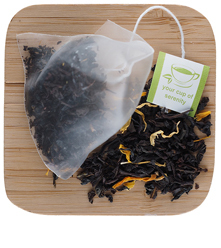 Loose leaf, unfolds with smoky flavor.